Ahu Akivi was the first ahu to be restored, by William Mulloy in 1960. 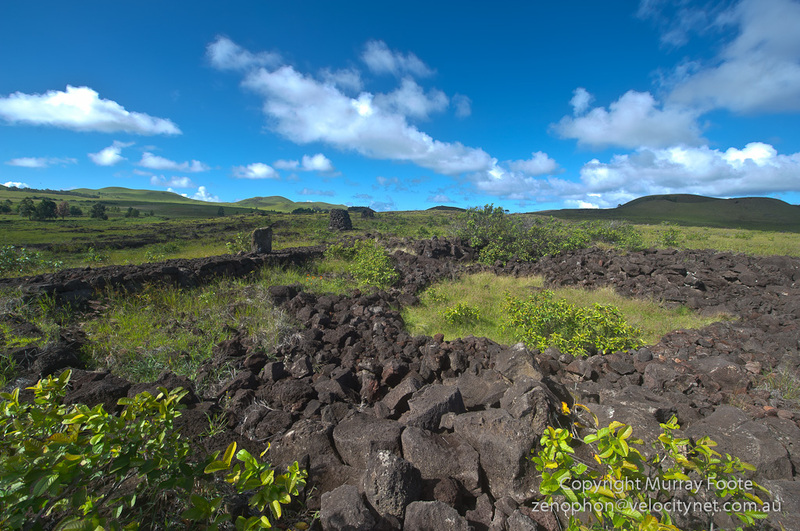 It is 33 metres long and inland, north of Hanga Roa. It contradicts the often expressed view that all ahu are on the coast and face inland. This is simply because they typically face the village of their associated tribe or sub-tribe. Moving the moai here would have been a significant task because the ahu is nearly 15km from Ranu Raraku and the moai weigh up to 13 tonnes. Quite close to Ahu Akivi is the much smaller Ahu Vai Teka with a single small eroded moai torso. William Molloy restored this ahu at the same time as Ahu Akivi. This appears to be the frontal view. We are looking south to Hanga Roa with our backs to the road. This is the view from the back, looking towards the centre of the island. The green circle on the right is probably a manavai (an area for growing plants protected by a stone wall). To the left of that is the ahu and the moai. Behind and to the right of the moai are a couple of pipi horeka (boundary markers or possible observation platforms). 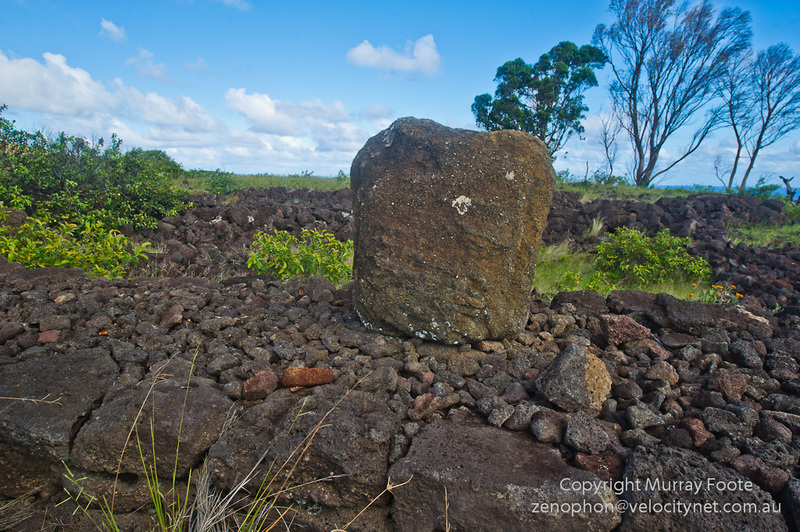 This entry was posted in Ahu Akivi, Ahu Vai Teka, Easter Island, Isla de Pascua, Rapa Nui and tagged Ahu, Ahu Akivi, Ahu Vai Teka, Archaeology, Easter Island, Isla de Pascua, Moai, Photography, Rapa Nui, Travel.